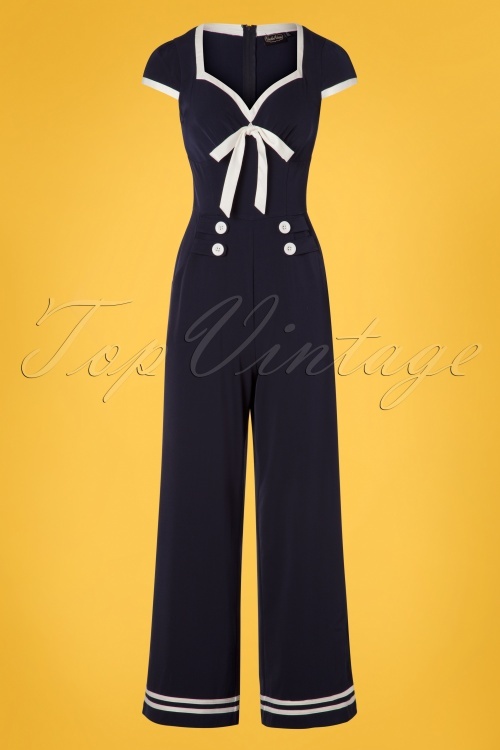 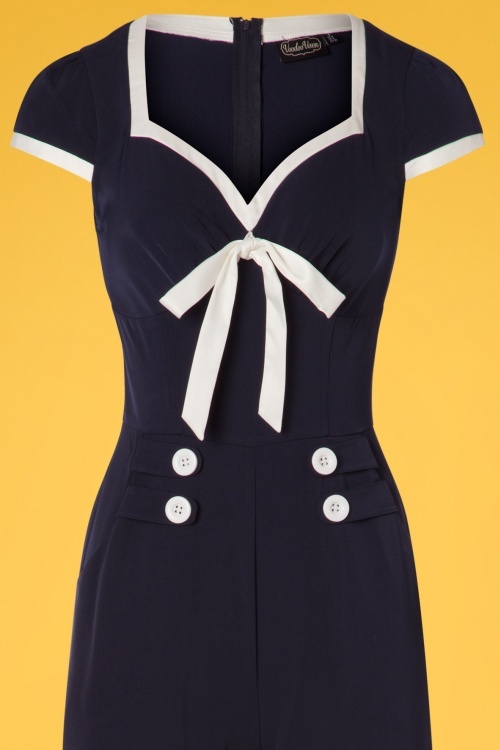 New spring/summer collection ~ This 50s Jonene Nautical Jumpsuit in Navy will definitely earn her stripes! 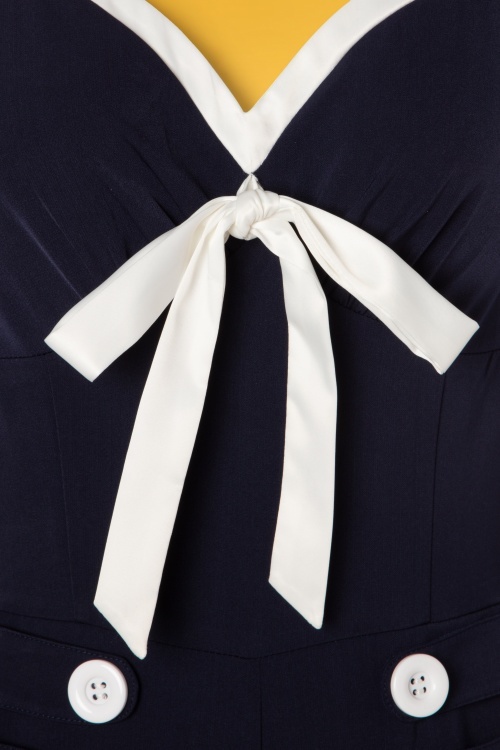 The elegant bodice features a sweetheart neckline with fixed satiny tie straps, puffy cap sleeves and pleats at the bust for a nice fit. 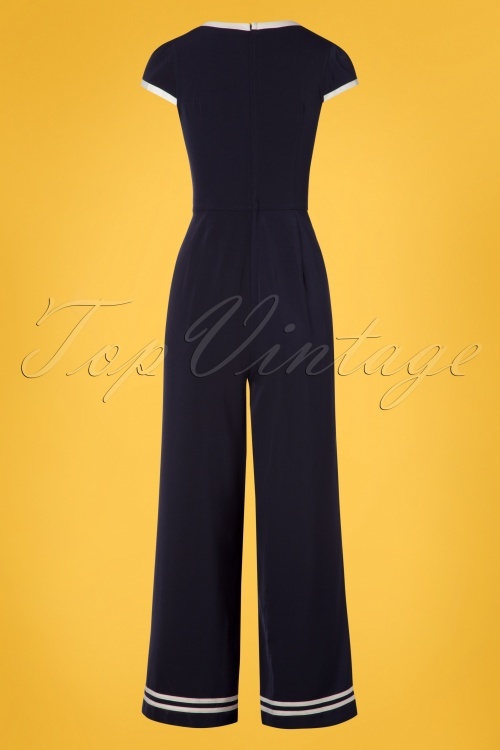 The flowy, wide legs are super flattering and will make your legs look endless, wow! 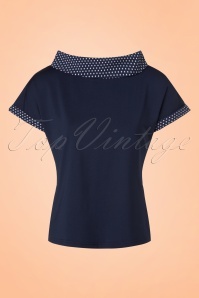 Made of a supple, navy blue fabric (barely stretches) that is a joy to wear. 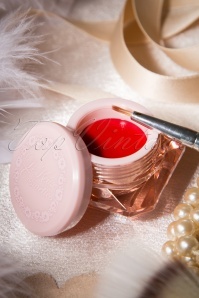 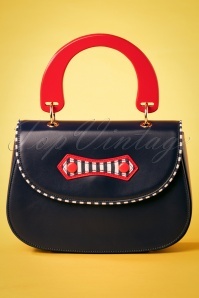 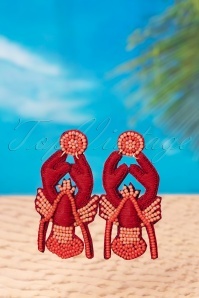 Pair with red for an irresistible look!